Through continual involvement in areas relating to sound reinforcement, BSS recognised the need for a consistent and reliable method for checking the polarity of installed sound systems from the input of a mixing console to the acoustical sound input format he speaker arrive units. 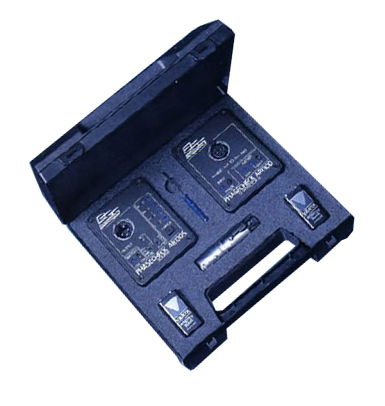 The AR130 test system, comprising of two hand held units, enables the accurate checking of polarity on any electrical two wire circuit or of any electro acoustical unit such as loudspeakers. The SOURCE unit provides an encoded sinewave test tone whose frequency can be selected to match the frequency range of the equipment under test. The DETECTOR unit provides the polarity indication and can be directly connected to microphones, cables or power amplifier outputs without the need for range switching. The AR130 is accurate for all systems and provides excellent results even for high frequency loudspeaker drive units where unidirectional pulse techniques often produce inconsistent results. An encoded test signal, which is not a unidirectional pulse, enables reliable and consistent testing of loudspeakers, including high frequency compression drivers. Performance is unimpaired by crossovers, compressor-limiters or speaker protection devices. Four presettable tone frequencies, variable output level and `battery low' indicator. Large range for detector input voltage reliably accepts most microphones through to power amplifier outputs, without the need for range switching. No direct connection required between source and detector, other than the component under test, which may be a single item, or a complete system. All circuitry except batteries housed inside steel box for protection and strength. 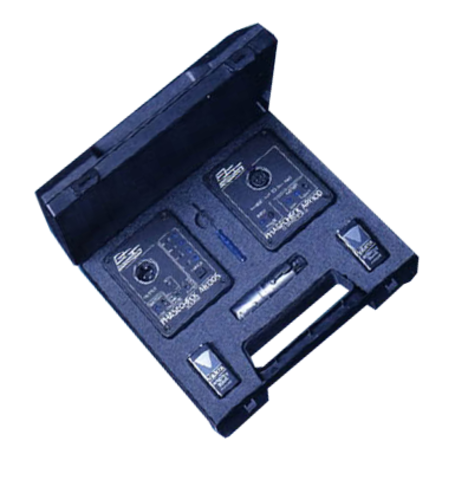 A steel front panel, recessed switches and connectors provide for a virtually indestructible unit. The source unit can also function on its own as a test oscillator for general purpose testing.